Software-defined networks help shape traffic patterns, keep reins on virtual machines and can transform the private cloud into a hybrid model. But what is the maturity level of SDN? What do you need to do to prepare your IT personnel and infrastructure for network virtualization? And how does faster network provisioning affect your data center operations? 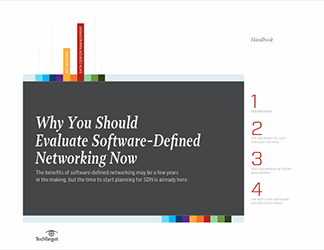 Is there a way to ensure that implementing SDN will pay off in saved time and effort, as the hype suggests? The next step: Software-defined everything?